During the last couple of years we have had many discussions with wind park owners and asset managers regarding statutory inspections in Finland. There is one quite common misunderstanding which repeats in the conversations: Who is responsible for the inspections? The responsibility lies without exceptions with the owner. Coordinating or executing the inspections can be outsourced, but the responsibility can’t. What are the subjects of statutory inspections? Some flaws found in the inspections. Picture 1. 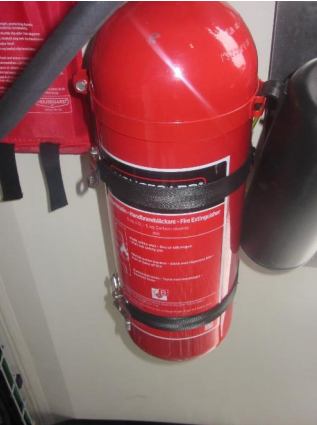 Fire Extinguisher missing next inspection labels. Picture 2. 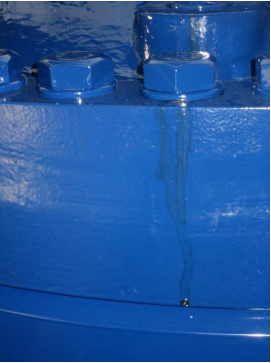 A gear oil leakage between the gearbox low speed stage and the main shaft. Picture 3. 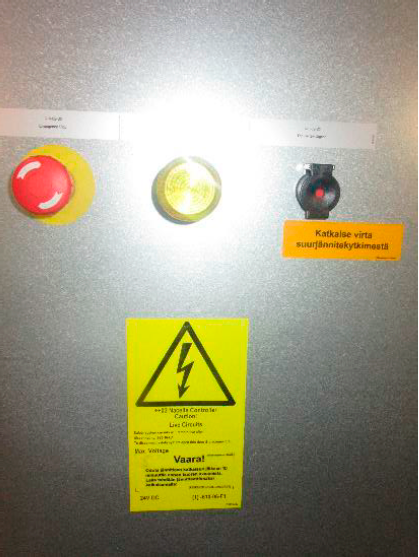 Emergency stop buttons, operational switches and indicator lights should have labelling in Finnish. If you would like to have an example of the report we do in these inspections, please send an email to kari.koivikko(a)windcontroller.fi or ville.koskela(a)windcontroller.fi, and we’ll send it to you!